The UK is full of surprises. You’ll be amazed how many hidden-gem activities are hiding in plain sight. Here are seven wonderful things that you didn’t know you could do in the UK. A beautiful deserted beach of powdery white sand, a hilly backdrop, calm azure waters – surely this is the Caribbean or perhaps the Mauritius. No, it’s in the UK…Scotland to be precise; Vatersay Island in the Outer Hebrides, to be even more precise. Scotland has a surprising number of beaches that (on sunny days) look like a tropical paradise. The Sands of Morar in the Highlands and West Sands in St. Andrews are two other beautiful examples. Of course you’ll have to luck out with the weather to experience it looking like paradise. 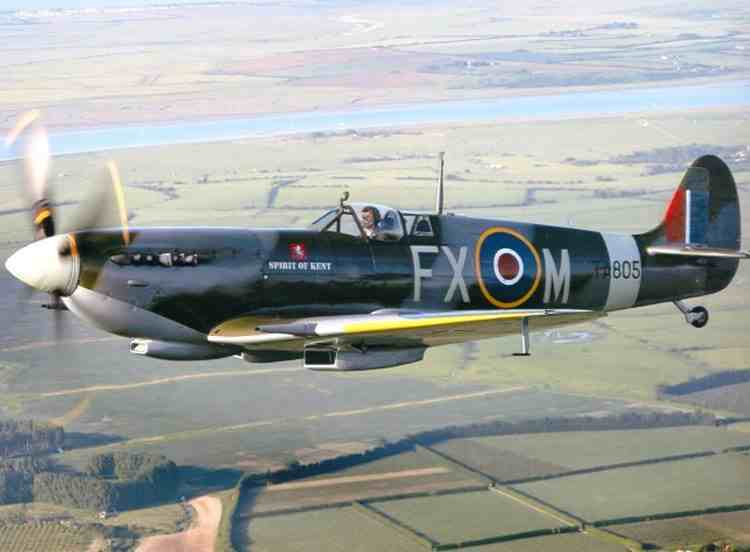 Spitfires, famously, were single-seat fighter aircrafts, and there are probably less than 100 airworthy examples of these planes left in the UK. So it might seem that your chances of flying in one are pretty slim, as you would theoretically need an advanced pilot’s licence as well as the money to buy or hire one. Thankfully now there is the chance to fly in a real Spitfire without having to go through that – with UK experience specialist Into the Blue. A small number of the single-seat planes were converted to two-seaters, meaning that you can experience the thrill without having to fly yourself. When you think of London, you might not immediately consider it to be somewhere you’re likely to find a farm. But it’s actually possible to visit a farm without leaving the city. Hackney City Farm hosts a range of animals that you can come and see – and it’s certainly a unique experience to see farmyard animals like pigs, donkeys, and goats five minutes from a tube station. For some reason, people still hold onto the idea that if you want to go scuba diving you need the tropical waters of the Indian Ocean. It’s not true – the sea all around the UK provides innumerable diving destinations, including huge wrecks like the HMS Moldavia 20 miles off the Sussex coast and reefs teeming with sea life, like the Eddystone Reef near Plymouth. It is also easily possible to learn to dive here with plenty of PADI centers around the country. Whether you’re an absolute beginner or you want to get out and see some of the amazing scuba sites, the UK is perfect. You don’t have to visit India to see a beautiful Hindu temple. In fact, there’s one that sits right in the heart of London. BAPS Shri Swaminarayan Mandir is an exquisite temple constructed in hand-carved white natural stone including marble, Carrara, and limestone. Admission to the temple is free and the opening times are 9 a.m. to 6 p.m. every day of the week – a full tour takes around two hours. With tires as tall as a grown man and a 7,500cc engine, monster trucks are an amazing spectacle – and even more amazing to drive yourself. But monster trucks are surely one of the most American of pastimes, and you might think that you need to visit the USA if you want to get behind the wheel of one of these behemoth vehicles. Actually there are plenty of sites around the UK where you can experience the thrills of monster trucks. Some even give you the opportunity to drive over and crush normal cars to show you the incredible power and weight of the truck that you’re in. There’s nothing quite like a cozy pub to relax in – but The Nutshell in Bury St. Edmunds takes the concept of ‘cozy’ to the next level. According to the Guinness Book of World Records, it is the UK’s smallest pub. With enough space for around 10 to 15 drinkers, the pub has been serving beers since 1867.